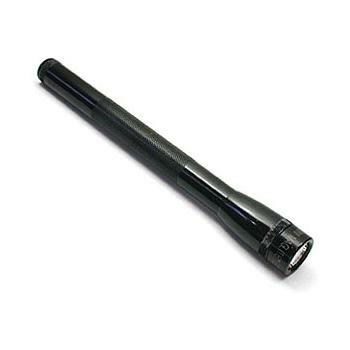 I bought the Mini LED Maglite simply because of its size, and more so because of the precious Maglite’s I have owned. They have proven to be rugged and reliable. However, I wasn’t about to lug around a 3 or 4 D cell battery flashlight! I found the 3 AA and the 2 AA cell Mini LED Maglites at Wal-mart, but surprisingly enough, the 3 AA cell light was on sale for $10 cheaper than the 2 AA cell. So, I figured I would bite the bullet and take the slightly heavier-weight light, and a small money savings. This light has turned out very well. It is small, but long at 8.5″, however, the light slips easily down into a side pocket on my pack. And for the amount of light it produces, I am more than happy to lug around the whopping 2.9 oz. This light features a candle mode which is very effective. I did have to attach a small piece of string to the bottom of the light so that I could hang it while inside my tent. I would definitely recommend this light. I have written a full review on the light which can be read here.